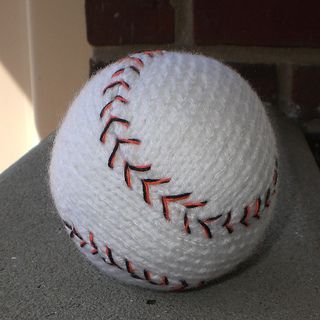 A realistic looking baseball that is knitted flat in two pieces. 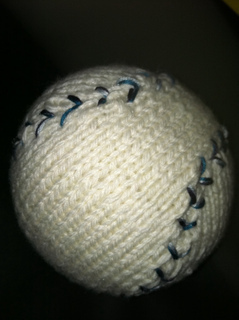 Adding embroidery floss to make V shaped stitching completes this easy to make baseball! Finished projects can be sold, just credit me for the pattern. 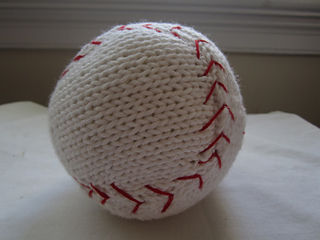 And of course don’t resell the pattern.